DNA, or deoxyribonucleic acid, is the genetic code, or blueprint, that plays a big part in defining who you are. Every cell in your body contains a copy of your DNA, which is essentially a microscopic set of instructions that determine what you look like and other personal traits. This blueprint is called a genome and, while most of that code is the same from one person to the next, there are specific variations that make you unique. Parts of your DNA called genes are responsible for performing biological functions and, in some cases, determining personal traits, like hair color or height. Variations in those genes, and elsewhere in your genome, contribute to the variety and diversity in humans. A slightly more detailed DNA definition is that it's a series of long molecule chains, consisting of two strands that run side by side and coil around each other in a “double helix” shape, like a twisted ladder. Each rung of that ladder is made up of two smaller molecules that click together and connect the two strands. These are the nucleotides adenine, thymine, cytosine, and guanine—often referred to as A, T, C, and G. The pattern of nucleotides along a strand of your DNA is what forms the code that makes up your genetic blueprint. Why is each person’s DNA unique? No two people have the same genome, except for identical twins. People inherit their DNA from their parents, half from the mother and half from the father, which means that people inherit their parents’ genetic variations, as well. But each child receives a different mix from each parent, which is why siblings—while they may look similar—won’t look exactly the same. How can DNA tell you about family history? 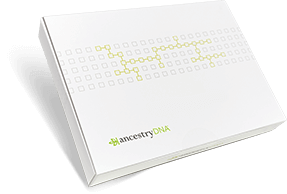 Since DNA variations can be passed down through generations, they can be used to trace your ancestry back hundreds or even thousands of years. Your patterns of genetic variations can be compared to particular reference groups around the world, which can lead to an entirely new understanding of where you came from, your ethnic roots, and your family’s journey through history.